Global Guardians are one of the UK’s leading vacant property management and guardian specialists. Like many companies yet to utilise the power of digital, Global Gaurdians discovered the potential of the online market by searching for their own services. With a brand new website in the works, they wanted Bulldog to ensure that their digital efforts would achieve maximum results. They needed an SEO agency that could finetune their SEO and get their brand in front of the right target audience. Global Guardians were looking for a rise in organic traffic and to develop a new stream of customers. With a fairly low amount of traffic they needed an injection of digital marketing and SEO techniques to strengthen their new website. Bulldog came up with a strategy that would tackle Global Guardian's online presence by targeting specific high-volume relevant keywords that would drive traffic and also increase their conversion rates. We created a link building and content strategy that would involve content marketing popular and relevant infographics to property and home blogs. The site was not adequately optimised for search engines or conversions. The company had a weak backlink profile that needed huge improvement. The brand’s online social presence was severely lacking in performance. An onsite audit was performed to ensure that the efforts going into the SEO and PPC campaign were 100% beneficial – by ensuring there were not broken backlinks, improving the site speed, analysing all onsite elements and also checking all content throughout the site. Bulldog designed and created infographics to build a scalable outreach campaign to increase the efforts of the number of links going to the homecare website. These were made with the intention of informing and really showing that Global Guardians were a strong asset in their industry. We deployed a strategy that would explode Global Guardian's online presence by targeting specific high-volume keywords. This would effectively drive more relevant traffic to the site and also have a stellar impact on conversion rates. 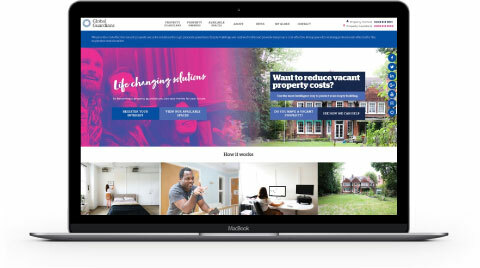 We also created a link building and content marketing campaign that involved influential infographics and high quality blogs related to the subjects of property and home development. Bulldog issued monthly reviews to make sure keywords were progressing whilst also scanning the market to pick up any keywords that would provide new waves of users to the site. We kept Global Guardians up to speed throughout the process with regular reports on the strides we were making across all campaigns.